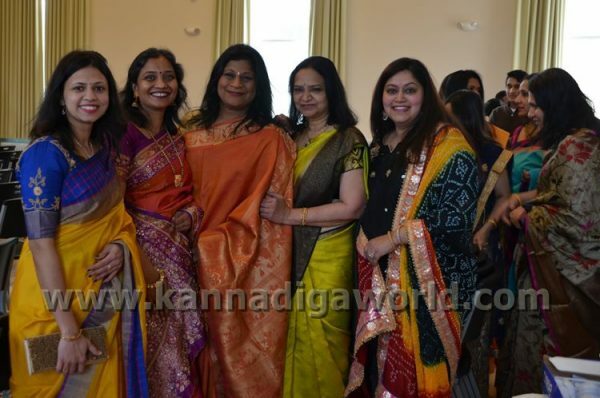 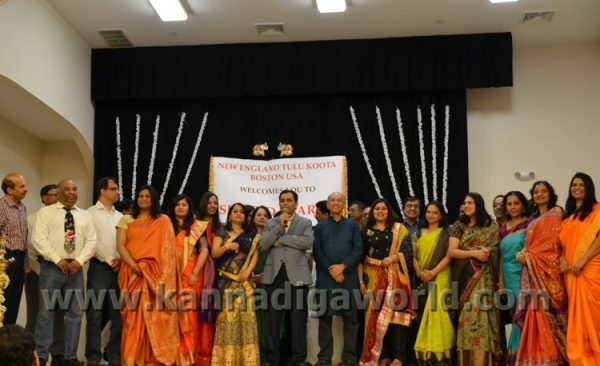 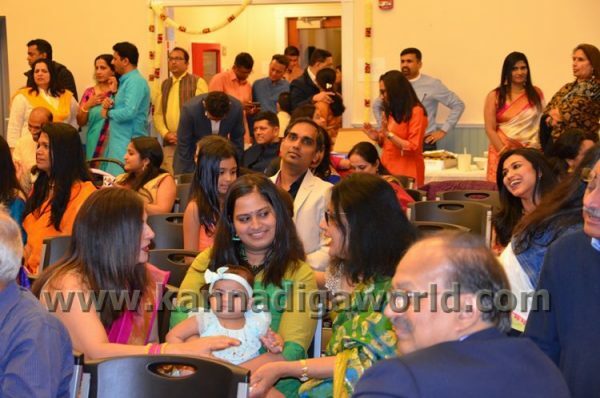 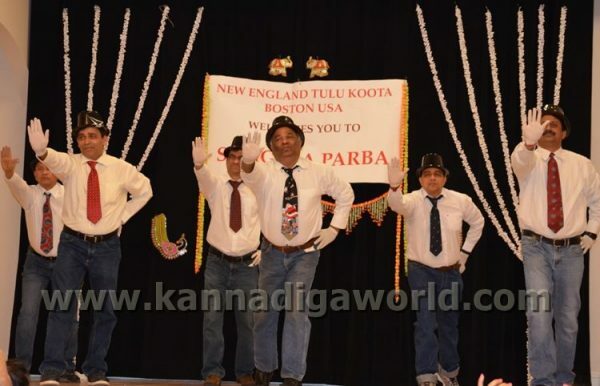 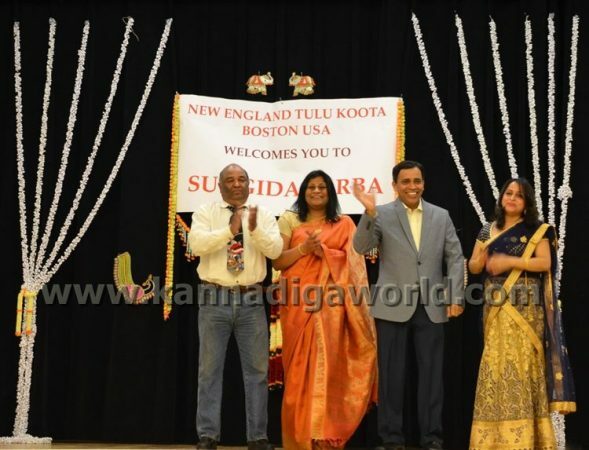 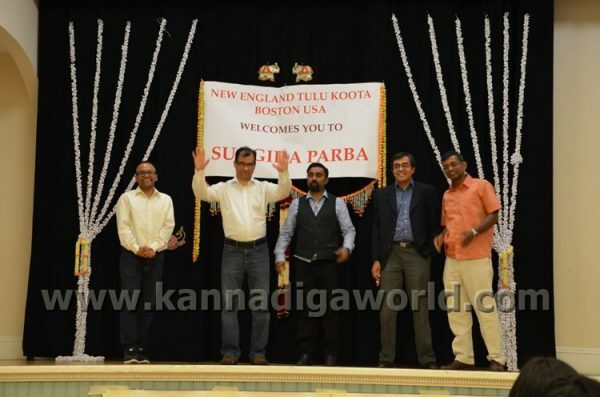 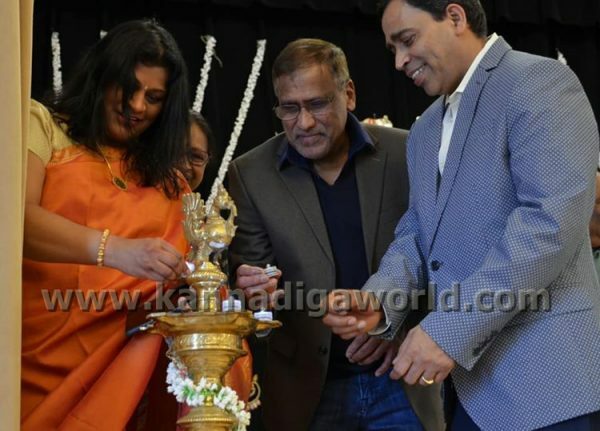 The New England Tulu Koota (NETK), Boston USA, a cultural organization of Tulu-speaking people originally from coastal Karnataka, celebrated ‘Suggida Parba’ on March 23 in Tyngsboro about 40 miles from the city of Boston in the US. 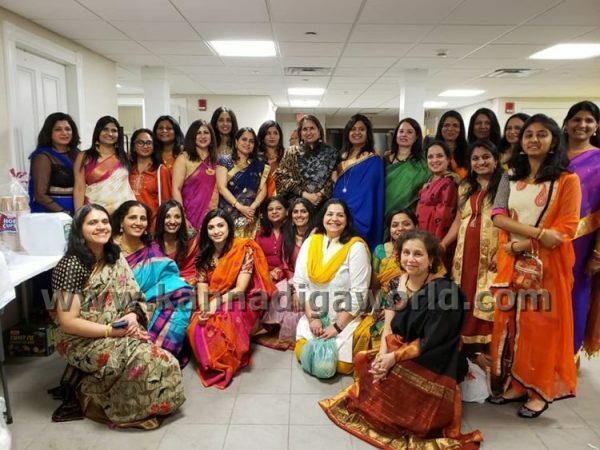 This event, heralding the onset of spring with prayers for good harvests, is celebrated with great enthusiasm in the native land that in some ways is similar to the Baisakhi festival in northern India. 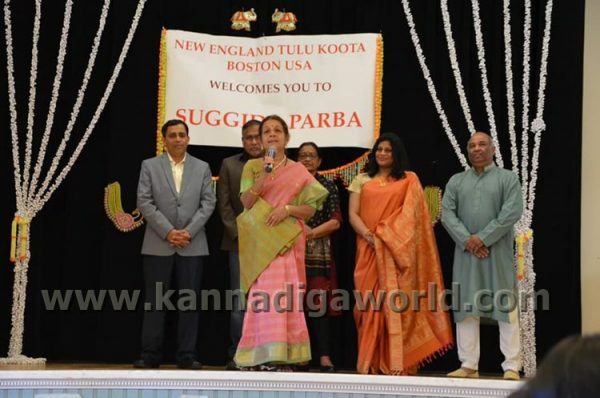 The celebration in Tyngsboro was graced by the guest of honor Dr. Jay Mulki who inaugurated the function with the lighting of the traditional lamp followed by an invocation sung by Ms. Vani Bhandari. 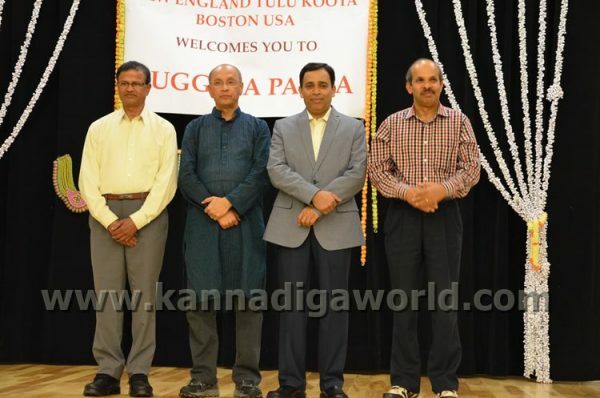 Dr. Mulki, an associate professor of Marketing at the Northeastern University in Boston, addressed the youngsters in the audience with pointed advice about contributing to community service along with a focus on academic excellence. 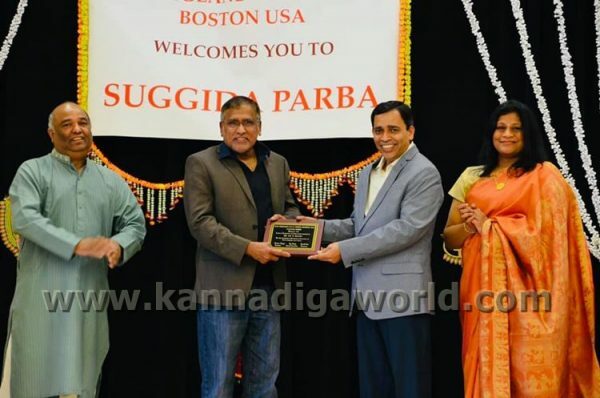 He emphasized the value of teamwork in career success and the need for youngsters to incorporate that trait in their day-to-day interactions with colleagues. 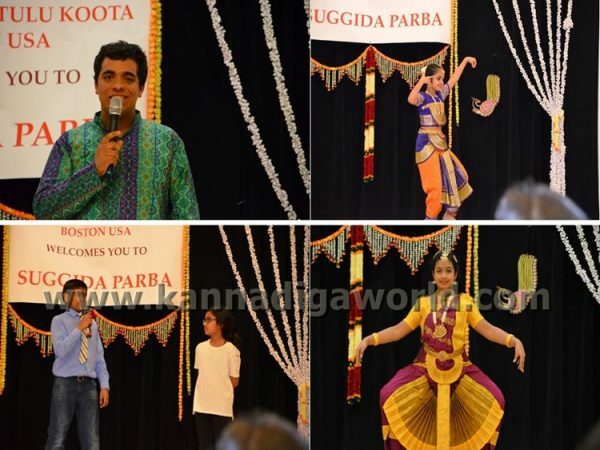 The President of the organization Bhaskar Sherigar welcomed the group and set the stage for a string of performances by members spanning all ages including those as young as 4 years old and emceed ably at times by equally young children. 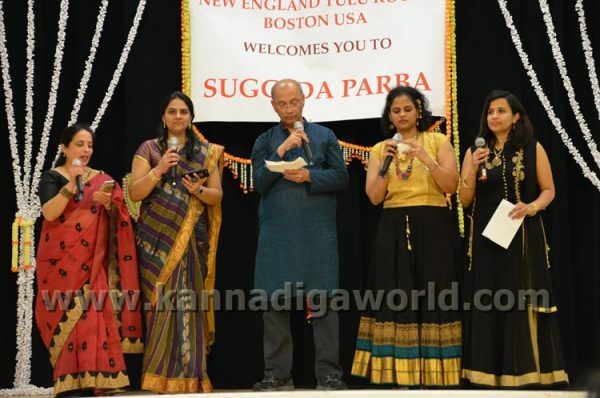 The potpourri of musical delights encompassed solo or group songs and dances based on classical themes or catchy Bollywood tunes. 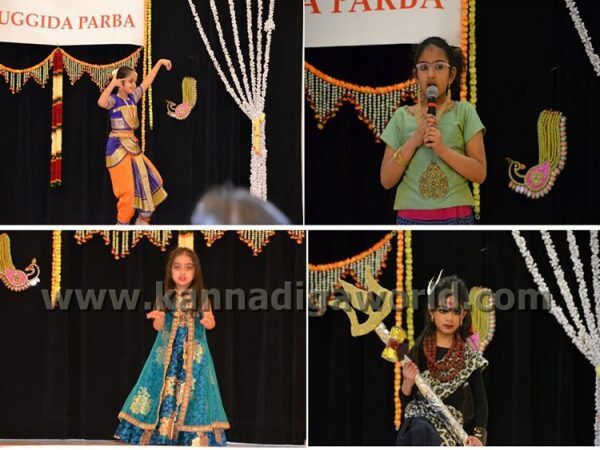 The flow and pace of the diverse performances were structured to capture the beauty and elegance in each of the acts and highlight the talents of the budding artistes. 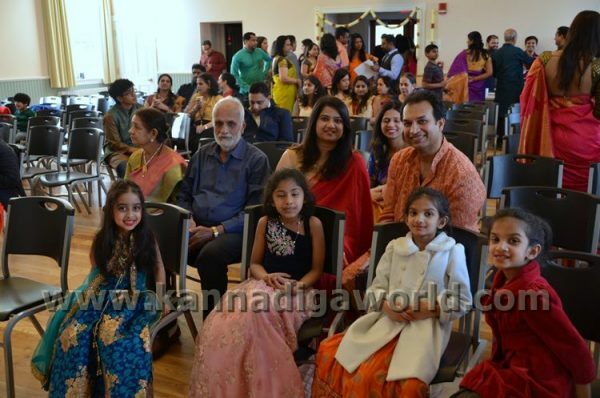 An unusual and extraordinary display of talent was by 11-year-old Sid Harsha who has a penchant for days and dates and could provide the exact day of the week instantaneously when presented with any date from 2019 to 2025. 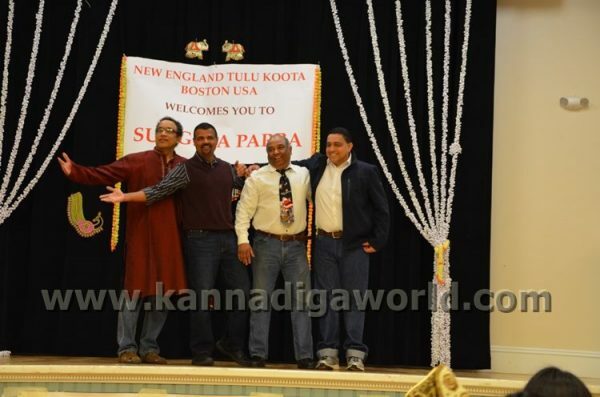 The audio-video team mastered art of acoustics and was a true treat to the years. 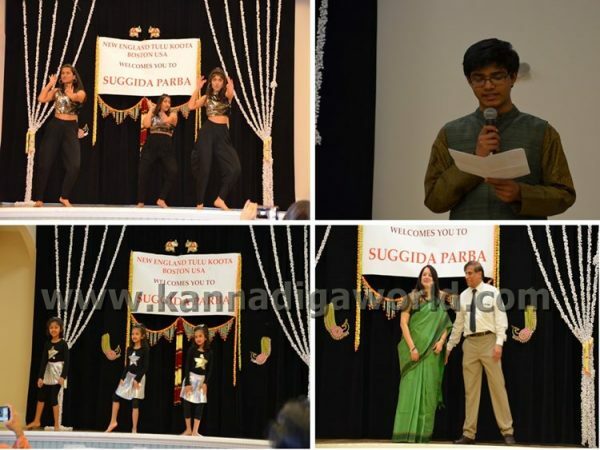 The entertainment piece was followed by a self-introduction by new members and vote of thanks by Secretary Puja Shetty. 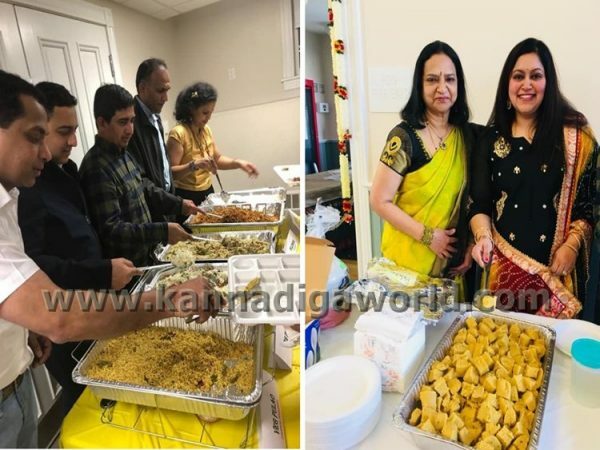 The medley of performances was followed by serving of a delectable potpourri of mostlyhome-cooked dishes prepared by the members for sharing with the rest of the group.This included traditional vegetarian and non-vegetarian delicacies named in nativeparlance as goley baje, pelakai gatti, khara bajil, moode, pulliogere, pulao, baklabaath,menaskai, vegetable korma, cashew manoli, channa sundal, chicken gassi, chicken biryani, kori-rotti, chicken sukha, Kundapur chicken accompanied by condiments such as tomato chutney, mango chutney, raitha and regular fare such as plain rice, sambhar and rasam. 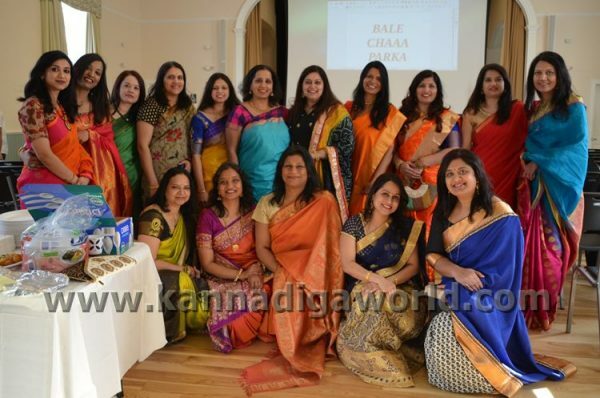 The dessert-spread included payasa, fruit custard, gulab jamoon, cookies and brownies. 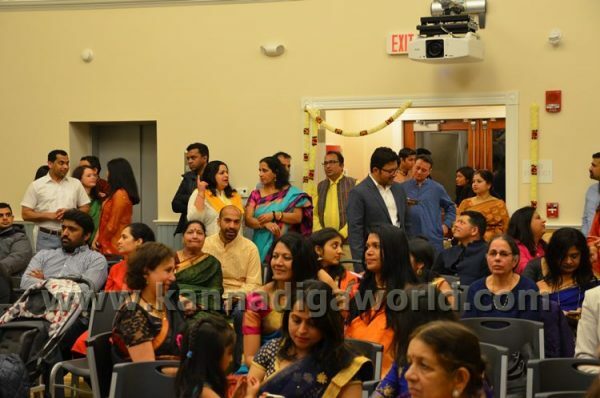 The medley of performances was followed by serving of a delectable potpourri of mostly home-cooked dishes prepared by the members for sharing with the rest of the group. 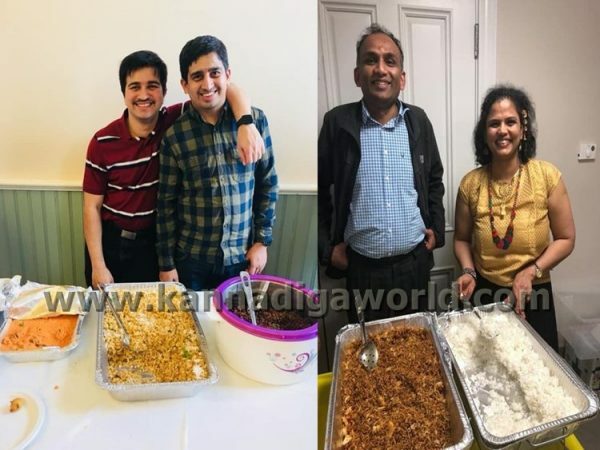 This included traditional vegetarian and non-vegetarian delicacies named in native parlance as goley baje, pelakai gatti, khara bajil, moode, pulliogere, pulao, baklabaath, menaskai, vegetable korma, cashew manoli, channa sundal, chicken gassi, chicken biryani, kori-rotti, chicken sukha, Kundapur chicken accompanied by condiments such as tomato chutney, mango chutney, raitha and regular fare such as plain rice, sambhar and rasam. 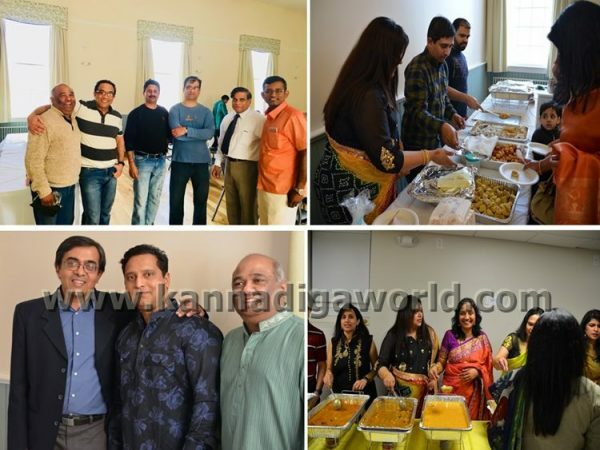 The dessert-spread included payasa, fruit custard, gulab jamoon, cookies and brownies.